When the pores in your skin become filled with oil, dead skin and dirt from the air blackheads form. Blackheads can actually enlarge your pores and leave your face looking less than clean. Removing those blackheads can often be difficult as washing your face usually doesn’t clean deep into the pores, which is why using a face mask that draws those oils and that dirt out of your pores can result in cleaner and healthier looking skin. So, here is a look at some deep cleansing face masks for those who are looking for the best face mask for blackheads. Adovia Facial Mud Mask contains dead sea mud which is known for its deep drawing properties and its ability to remove toxins from the skin combined with other ingredients to help soften and condition your skin. Cleanses pore deep and minimizes them, giving you a softer, more youthful and glowing looking complexion. Natural daily mask for blackheads, pimples, acne and acne scars. Suitable for women, men and teenagers. Used in facials at Top Spas. 1 full year 100% Money Back Guarantee. This Face Mud Mask is loaded with ingredients which some of them are Dead Sea Mud, Stearic Acid, Vitamin C, Algae extract, Papaya, Aloe Vera, Sunflower Seed oil, Mandarin Orange and Jojoba oil. Clean your face and pat dry. Apply a fairly thick layer of mud straight from the container and leave on for 15 to 20 minutes or until dry. Rinse off with warm water, then splash face with cold water to help tighten the pores. 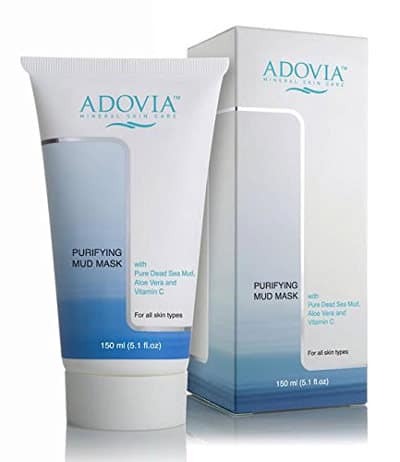 Reviews for the Adovia Facial mud mask are extremely favorable. Users really enjoy this mask and find it leaves their face feeling cleaner and healthier. 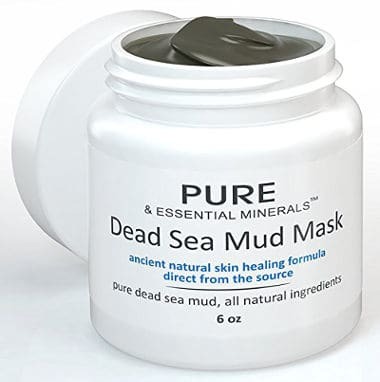 Pure & Essential Minerals Dead Sea Mud Facial Mask uses all natural ingredients to deep clean those pores and leave your skin looking and feeling great. Heals blackheads, pimples, acne, acne scars, eczema and psoriasis. Dead Sea mud contains more that 21 skin receiving minerals. Free of Sulfates, Phosphates, parabens and Chemicals. This Blackhead Facial Mask is loaded with all organic ingredients that can nourish your skin and they include: Pure Dead Sea Mud, Shea butter, Sunflower oil, Aloe Vera juice, Vegetable Glycerin, Jojoba oil, Hickory bark extract, Organic calendula oil, Eucalyptus oil, Filtered water and Xanthan gum. Apply the mud to clean face spreading evenly and allow about 10 minutes to dry. Remove it by gently rubbing using a circular motion, wash off with lukewarm water and pat dry. Reviews for Pure & Essential Minerals Dead Sea Mud Facial mask are extremely good with most users feeling this mask helps them to have healthier skin. Some users say that this mud stings their skin when it is first applied. Softens skin and improves overall texture. Evens skin tone, leaving face looking healthier. Skin feels really fresh and clean. Suitable for women, men and teens. No Gluten and no parabens. This blackhead facial mask is loaded with ingredients designed to heal and nourish your skin including: Dead Sea mud, Organic grapefruit and mint essential oils, Organic Eucalyptus oil, Hickory Bark extract, non GMO Xantham gum, organic Aloe Vera Juice, Water, Kaolin clay, Organic Shea butter, Organic vegetable glycerine, Organic sunflower oil, Organic Jojoba oil and Canlendula oil. Use twice weekly. Apply mud to clean face, leave on 10 minutes or until dry, rinse with warm water and pat dry. 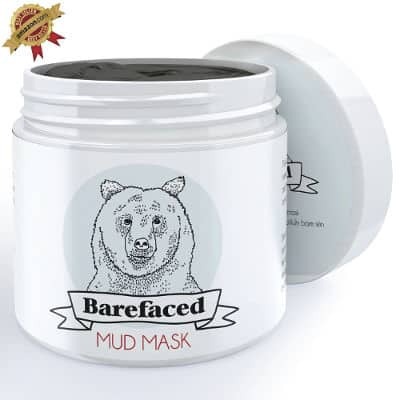 Ratings and reviews for the Barefaced Dead Sea Facial Mud mask are incredibly positive with almost everyone who has tried this mud really liking what it does for those blackheads and the overall health of their skin. Cleans up blackheads and reduces pore size. Leaves face feeling clean and smooth. Goes on smooth and rinses off easily. 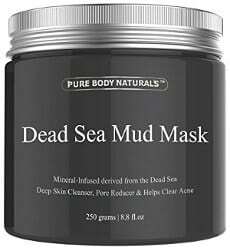 The Pure Body Naturals Dead Sea Mud Mask comes in an 8.8 ounce container and is 100% natural mineral infused facial mask that when placed on your face, it pulls out oil, blackheads and toxins from the pores while deep cleaning your skin, leaving it look healthy and cleaner. Reduces Pores- Users find that after using this natural face and body mud mask a couple of times, all of the oil, dirt and blackheads are drawn out of the pores, leaving their pores smaller. Softer and Firmer Skin- Reviewers have also mentioned that almost immediately after rinsing it off, their face feels softer and smoother with fewer bumps. Cleaner Looking Skin- It also leaves their skin looking cleaner and brighter overall. 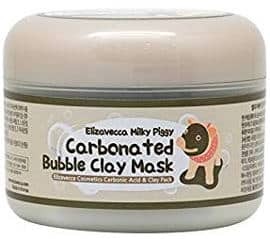 This Piggy Carbonated Bubble Clay Mask by Elizavecca is easily applied and bubbles up after being on your face only a few minutes. Once the mask begins to bubble, you simply add water, massage the mask on the skin for about two minutes, and then rinse your face clean. Really Cleanses out Pores- Users really like the fact that the bubble action of this mask tends to bubble blackheads and oil buildup to the surface of the skin where they are easily rinsed away. Cleaner, Softer Skin- It also leaves their skin softer, cleaner and more glowing. Rinses off Easily- It rinses off very easily. 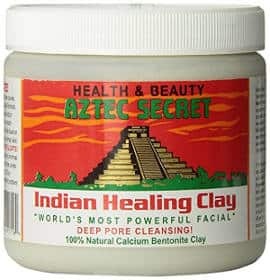 This Aztec Secret Indian Healing Clay Deep Pore Cleansing Mask can be used both on the face and body. It comes in a 1 pound container and is 100% natural calcium bentonite clay, which is considered the best clay for deep pore cleaning. It should be noted that you need to mix the clay with apple cider vinegar to make it smooth and easy to spread on your face. Cleanses and Shrinks Pores- It reaches deep into the pores removing build up oils, dirt and blackheads. Helps Improve Cystic Acne- It has helped some users to clean up their cystic acne reducing the swelling and healing breakouts quickly. Softens and Brightens Skin- Users feel that their skin is softer and brighter after using this product. Choosing one of the best face masks for blackheads that deep cleans your pores and removes those blackheads while leaving your skin feeling clean and soft will help you to have the glowing healthy skin you are looking for. These facial masks give you that spa experience at home.